Among the 3-star hotels in Erice, Hotel Villaggio La Pineta stands out for its 25 cottages with terraces, ample private parking and a marvelous two hectare park: the perfect place for a vacation rich in culture, splendid beaches and nature trails. The hotel's reception is open 24 hours a day; it can provide information and offer invaluable advice to guarantee a pleasant stay; additionally, book tickets for shows, guided tours and transfers to/from the airport and train station. 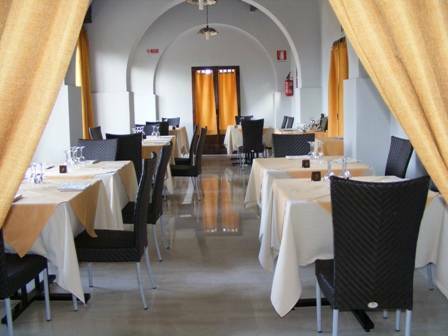 At Hotel Villaggio La Pineta, the bar is ready to serve you from 7:30 am to 11:30 pm; the internet point is free and the tennis courts and foosball are just 100 meters from the hotel. Our delicious buffet breakfast is served in a lovely dining room but you can ask to eat it within the comforts of your cottage. A few kilometers from the Hotel La Pineta, Trapani is charming with its wide range of buildings and churches. A spectacular array of styles collected from the port and several important buildings near the sea, like Villino Nasi and la Colombaia. Corso Vittorio Emanuele, in the middle of the pedestrian district, is the city's drawing room while the coast, boarded by ancient walls, offers an area for a long and pleasant walk. If you are looking to relax, reach the green heart of Villa Margherita and sit among the 19th century ficus while, if you prefer to dive into the more modern Trapani, full of stores and boutiques, head towards Piazza Vittorio Emanuele at the end of the new city. A one-of-a-kind natural paradise: the splendid sea and vegetation, the restaurants are excellent and the peaceful dovetails of sand are fascinating along with the caves with prehistoric drawings are one of the main reasons for visiting the archipelago. Favignana is the most famous island but you will also be enchanted by Marettimo and Levanzo, where local nature and tradition have remained unaltered for centuries. Extraordinary. Traveling east, just a half an hour by car, separates you from the extraordinary beaches that run from Alcamo Marina to San Vito Lo Capo: alternative between the mesmerizing landscapes, inlets and stacks that emerge from the crystal Tyrrhenian waters. 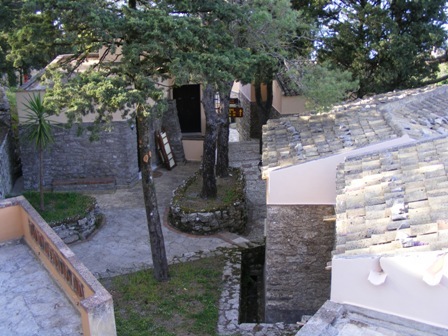 You can easily reach Calabianca, Guidaloca and the Riserva dello Zingaro by car or by foot. Cottage Furnished in Mediterranean style with walnut furniture, satellite TV, a mini bar, air conditioning, day area with desk and internet connection, bathroom with shower and hairdryer. Some cottages have a spectacular ocean view. 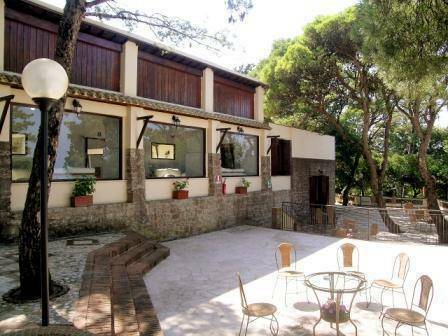 Villaggio Hotel La Pineta is on the northwest coast of Sicily, within the walls of Erice; a fascinating place, rich in history and romantic landscapes like the Balio gardens and the castle of Venus. The Medieval center, perfectly conserved, is home to numerous religious buildings, several with great architectural value, such as the Chiesa di San Giovanni Battista and the Chiesa di San Giuliano. Piazza Umberto I is the heart of the town, the home of the Museo Cordici, a rare exhibition of important paintings, coins and Greek ruins. Centro Ettore Majorana promotes scientific conferences and organizes shows for thousands of participants who come to Erice from all over the world. Don't forget the Medieval and Renaissance Music Week. In the silent streets of Erice, there are flowered courtyards of the downtown homes and artisan workshops selling ceramics and carpet made by hand; local pastry shops offer famous almond sweets and restaurants prepare an unforgettable couscous using the Arab recipe and excellent fish dishes. Reservation can be cancelled up to 7 days prior the arrival date without any fee. In case of late cancellation or no-show first night penalty will be charged. You'll arrive at the Trapani train station and reach Erice by bus or taxi; you can also use the bus or cable car. 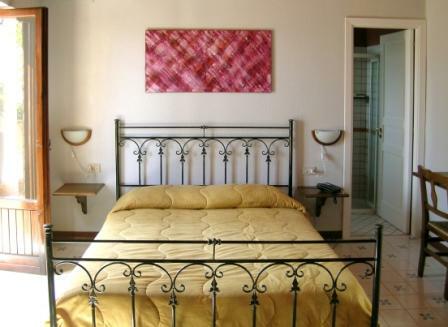 In either case, you'll get off at the Porta Trapani station in Piazza Grammatico, 300 meters from the hotel. From here, you can also take the hotel shuttle by request. Alternatively, book a transfer from the Trapani station that will take you directly to Hotel La Pineta. 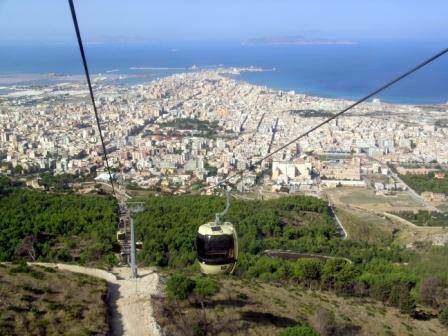 The Trapani and Palermo airports are 20 and 80 km respectively. 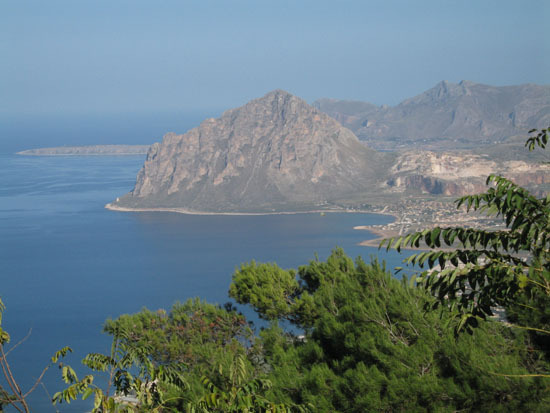 In both cases, you'll reach Trapani with the bus lines (the Autolinee Segestra buses if you are coming from Palermo) and continue on to Erice by bus or cable car until you get to the Porta Trapani terminal. Then follow the directions under "By Train." From Messina (350 km), take A20 to Palermo; from Catania (300 km), take A19 towards Palermo. In both cases, take A29 for Trapani. From Agrigento (200 km), take state highway South West Sicua SS 186 for Castelvetrano. Take A29 to Palermo and take the bypass for Trapani near Alcamo. From all directions: once you reach the Trapani highway toll, continue on provincial road Trapni-Erice-Valderice; when you get to Trapani, turn right at the roundabout, heading towards Erice and follow the directions for Erice Vetta.